UP TO $2500 OFF MSRP ON THE PURCHASE OF 2017 MINI CLUBMAN MODELS. Customer must visit a participating MINI Dealer before July 31, 2017 to receive $2,500 off 2017 MINI Cooper S Clubman models including ALL4. Must purchase, finance or lease and take vehicle delivery from available dealer inventory before July 31, 2017 to redeem offer. Credit is used to offset against vehicle MSRP and cannot be used for tax, title, registration, destination or other dealership processing fees. Can be combined with other MINI offers except certificates. © 2017 MINI USA, a division of BMW of North America, LLC. 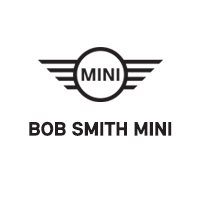 The MINI name, model names and logo are registered trademarks.